Sutton’s Danny ‘Cassius’ Connor intends to start 2011 of with a bang after a fairly disappointing end to 2010, following the cancellation of Bruce Baker’s ‘Christmas Punch’ event due to the extreme snow storms that battered Surrey in December. Connor’s first outing of the year sees him up against Graham Earl’s protégé Terry Holmes at the former World Champion boxer turned promoter’s ‘Capital Punishment’ show, headlined by Paul Morby’s defense of his Southern Area Super Middleweight title against Daniel ‘The Slick’ Cadman, at the York Hall in Bethnal Green, London on Saturday 22nd January 2011. Following a brutal sparring session with Sam Standing at Johnny Eames’ Ultrachem TKO Boxing Gym in Canning Town, ‘Cassius’ took a little time to talk about his upcoming showdown with Holmes. “I’m up against a guy called Terry Holmes, from Stevenage. He’s a traveling kid so he’s bred into boxing. He’s going to be a tough come forward type and he’s supposed to be a bit of a good boxer who likes to mix it up a bit, but then again I can mix it up. I can fight just as good as him, if not better. He’s 1 and 0, but he beat Johnny Greaves, who’s a bit of a journeyman. No disrespect to Johnny Greaves but we all know what journeymen are there for. I’m not a journeyman I am on my way up and this is going to be my year so this is the start of something big and I’m taking him out. 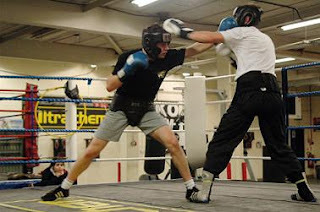 I’ve been sparring Sam Standing, he’s another pro that’s just turned over. 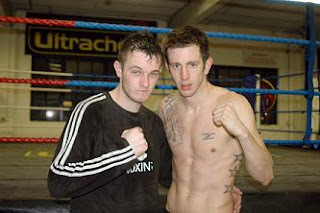 Been doing a little bit with Ricky Boylan, I’ve also been doing my sprints and that with him. I’ve also been sparing with Southern Area champ Ben Murphy, he’s an experienced pro who can really bring me on. He knows all the tricks of the trade. It’s the best sparring you can get so everything is going brilliant and I can’t wait to get in there and show everyone what I am about with this fight. 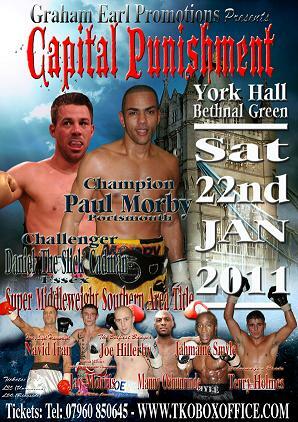 Danny ‘Cassius’ Connor versus Terry Holmes will be on the undercard of Paul Morby vs. Daniel ‘The Slick’ Cadman BBBofC Southern Area Super Middleweight title showdown at the Graham Earl promoted ‘Capital Punishment’ event at York Hall, Bethnal Green, London on Saturday 22nd January 2011. Graham Earl has put together a top class support card for the Morby vs Cadman title fight that includes the first London outing for Ultrachem TKO’s highly exciting Dutch Cruiserweight prospect Mitchell Balker, who is set for a baptism of fire when he faces Battersea’s super tough ‘Fighting Fireman’ Nick Okoth, who was runner up at the exceptional Sky televised Prizefighter - Cruiserweights back in April last year. Also on the card are British Masters Light Welterweight Champion Jay ‘The Isle Of Wight Assassin’ Morris, Hove’s unbeaten Light Heavyweight Navid Iran, unbeaten Middleweight Joe ‘The Belfast Banger’ Hillerby, Leicester’s Super Middleweight Jahmaine ‘ Smasher’ Smyle, Danny Connor’s Ultrachem TKO gym mate Daryl Setterfield and Miami, Florida exile, now living in Luton, Emmanuel ‘Manny’ Oshinronde all against yet to be named opponents.